These are my favorite books that I read in 2018. There are 36 selections and I thoroughly enjoyed every last one of them. I am eternally grateful that Sinclair Ferguson took the time to write such edifying material for others. Over the years, I may have read and reread “The Preacher’s Decalogue” (chapter 39) twenty-five times or so. He calls these chapters “some of the leftovers from the abundance of good food the Lord has given us in His Word,” (xv). I call them a feast for the hungry soul. If you are responsible for planning the corporate worship services of your local church, you will be greatly served by mining the treasures of this book. “On Reading Well is exquisitely written and will appeal immediately to a certain kind of reader: the kind who reads a book review about a book about the virtues embodied in reading books; the kind of reader who finds it impossible to pass by a used bookstore without slipping inside in search of a story that will stir a homesick hope within; the kind of reader who, like David Copperfield, reads “as if for life” itself (59); the kind of reader who joyfully affirms with C. S. Lewis, “My own eyes are not enough for me; I will see through those of others” (140). We were plunged into the abyss of sin by the disobedience of the first Adam. Our salvation rests upon the obedience of the last Adam, who humbled Himself by becoming obedient to the point of death, even death on a cross. “Jesus never erred in any way, remaining faithful throughout His life, demonstrating His faithfulness all the way to Jerusalem and His enthronement upon a Roman cross.” (207) This careful study helped me marvel at how Jesus lived for us and for our great salvation. This book is Charles Spurgeon plus Michael Reeves. Honestly, that’s really all you need to know. I’m unsure if Reeves has read all 18 million words that Spurgeon published in his lifetime. But I do know that he accomplishes his expressed aim in this book: “I generally find reading Spurgeon himself like breathing in great lungfuls of mountain air: he is bracing, refreshing, and rousing. I want, therefore, to try to make myself scarce and let Spurgeon leap at readers himself.” (17) The Prince of Preachers indeed leaps off every page, and that’s a fabulous thing. King makes a compelling case both from biblical evidence and theological warrant that beauty properly should be considered a perfection of the divine nature. The author draws together bright threads of beauty from Scripture and from the writings of Irenaeus, Augustine, Calvin, Balthasar, Bavinck, Edwards, and others, to fashion a glorious “theodramatic” tapestry of redemption. If you read this book carefully and prayerfully, I trust that your eyes too will ‘behold the King in His beauty.’ I’m looking forward to reading King’s next book project, provocatively titled God’s Oikosystem: The Roles that Holy Angels and Fallen Angels Play in God’s Eternal Plan for Humans. I know of no finer biography of the great Bishop of Liverpool than this one. It’s what I’ve come to expect from Murray: clearly written, theologically astute, and resolutely wise. I’m writing this from my home study where my bookshelves are brimming with works published by the Banner of Truth. I’m forever grateful to the Lord for providentially using Murray to co-found the Banner on July 22, 1957, while he served as an assistant to Dr. Martyn Lloyd-Jones at Westminster Chapel in London. I actually got the idea to begin this blog in 2003 from an offhand comment Murray made during an interview with Mark Dever in 2002. After his funeral, J.C. Ryle’s successor referred to him as “that man of granite with the heart of a child.” (213) That also seems to me to be an apt description of Iain H. Murray. “The godly preacher will not be ambitious of saying fine things to win applause, but of saying useful things to win souls. He will consider that he has the weak as well as the strong, children as well as adults to speak to, and that he must be accountable for the blood of their souls if they perish through his neglect. This will influence him to study plainness more than politeness. Such a preacher will not come into the pulpit as an actor comes to the stage to display his talents, but as one who feels the weight of eternal things. Oh! With what zeal and fervor will he speak! How will death, judgment, and eternity appear as it were in every feature, and every word! How can sermons like this be out of print? The best commentary I read this year was this gem on the Gospel of Mark. Highly recommended! A wind was blowing; the Cloud-cutter roared, creaked, leaning into its ropes. The wind was warm, unpleasant, with the scent of iron and rain in it. I watched Titch’s dark figure move to adjust the canister of gas in the blackness, grunting and cursing softly. The canopy hung high above me, a scorch against the lighter sky. Titch called to me urgently, and I clambered into the wicker-and-wood gondola, its oars stretching like antennae into the sky, its four odd wings creaking like rudders in the wind. How terrifying it all looked, in the dark; a great hot fear of death went through me. As Titch was double-checking the bolts and knots, he paused to give me a strange, quiet look. But I said nothing, and he said nothing, an in silence he turned back to his preparations. “Well, Wash,” he said at last. Then, without another word, he adjusted the canister. A higher column of fire surged upwards into the canopy, and the fabric began to shudder and shake. The shaking was terrible. My teeth rattled in my skull. I stared in fascinated terror at the broad black mouth sucking up fire. The air stank of char and smoke, of burning oil. Finally Titch leaned over and severed each rope in its turn. All around me I could hear the hissing of the grass as the wicker basket was dragged across it– a vicious, final sound. In the half-light I could just make out the hollows of Titch’s face, his eyes blacked out, only the white shards of his teeth distinct and visible. I felt a give in my belly; I clutched at the oars of the Cloud-cutter in dread. The air around us began to howl; the sky rushed towards us. We were rising. I can barely describe the sight of it. I saw the threatening sky below, a great red crack of light, like a monstrous eye just opening. The sky was still black where we were, but the wind was already hurling us seaward. I watched the half-cut cane fields in the faint light, the white scars of harvest glistening like the part in a woman’s hair. “Count Alexander Ilyich Rostov stirred at half past eight to the sound of rain on the eaves. With a half-opened eye, he pulled back his covers and climbed from bed. He donned his robe and slipped on his slippers. He took up the tin from the bureau, spooned a spoonful of beans into the apparatus, and began to crank the crank. Even as he turned the little handle round and round, the room remained under the tenuous authority of sleep. As yet unchallenged, somnolence continued to cast its shadow over sights and sensations, over forms and formulations, over what has been said and what must be done, lending each the insubstantiality of its domain. But when the Count opened the small wooden drawer of the grinder, the world and all it contained were transformed by that envy of the alchemists—the aroma of freshly ground coffee. In that instant, darkness was separated from light, the waters from the lands, and the heavens from the earth. The trees bore fruit and the woods rustled with the movement of birds and beasts and all manner of creeping things. While closer at hand, a patient pigeon scuffed its feet on the flashing. In the book’s last chapter, we encounter Grant spending his final days dying of cancer. Having been swindled by a family friend, Grant was desperate to provide for his family. Despite being racked with excruciating pain, Grant persevered and penned what is widely viewed as a masterpiece, the foremost military memoir in the English language. It was an immediate best-seller. After his death, Grant’s widow received $450,000 in royalties. In his final battle, General Grant once again emerged victorious. I’d never read anything about Stalin but after watching this lecture by Kotkin, I decided to take the plunge. I learned a bunch. Who was Joseph Stalin? He was a human being, a revolutionary, a dictator, a fearsome contriver of class warfare, a creator of great power, a magnetic leader, and a destroyer of tens of millions of lives. During Stalin’s 30-year rule, the most terrible crimes became morally imperative acts in the name of creating paradise on earth. Kotkin’s section covering the Great Terror, the purge led by Stalin, was horrifying. I’m looking forward to Kotkin’s third volume on Stalin that will pick up the story in 1942. Have you ever heard of Robert Moses? I had not. But Caro’s Pulitzer Prize-winning biography of Moses makes plain just how he became America’s greatest builder and the single most powerful man of our age in the City and in the State of New York. But more than an enthralling biography, Caro also eloquently explores the dangers, the temptations, and the acquisition of absolute power. Power can be abused at a national level (see Joseph Stalin), and at a city/state level (see Robert Moses). But power can also be tragically abused in a single home, in one family. Tara Westover tells her heart-breaking story of overcoming the lasting effects of growing up in a Mormon survivalist family in Idaho. “It’s strange how you give the people you love so much power over you.” (199) Many parts of this book were hard to read, but I was thankful I made it to the end. Faith, unbelief, God, atheism, love, lust, hatred, desire, life, and death. This riveting novel has it all. I couldn’t put it down. I read it twice. Then I came across this audiobook recording by Colin Firth, and I spent six hours listening to this story again. Searching and superb. A lush and lyrical story that blends together elements of the creation and fall narratives of Genesis, paganism, pantheism, a Greek tragedy, a tree of life, and, of course, California. This is a strange and haunting book and I was mesmerized by it. In 2013, I read a crazy story in National Geographic about a legendary storm chaser named Tim Samaras, and the infamous El Reno tornado, the widest tornado in recorded history. I remember thinking, “Someone should write a book about that guy.” Brantley Hargrove has not only written a poignant tribute to Samaras, but he’s also penned an unputdownable classic. (And this is Hargrove’s debut book!) If you liked Into Thin Air or The Perfect Storm, you’ll dig this book. The subtitle of this book says it all: Beauty, Obsession, and the Natural History Heist of the Century. Here’s my best attempt at a run-on sentence blurb: A 20-year-old American dude who plays the flute at London’s Royal Academy of Music and who is obsessed with the Victorian art of salmon fly-tying, rides a train to the Tring museum, breaks in, and proceeds to steal thousands of priceless rare bird feathers, and then escapes into the darkness. What could possibly go wrong? A rip-roaring story. I found this book irresistible and I’ll never look at an orange the same way again. “The gospel scheme, all of it from beginning to end, tends to the contrary of this spirit of envy. For there we are taught how far God was from grudging us the most exceeding honor and blessedness, and how He has grudged us nothing as too much to be done for us, and nothing as too great and too good to be given us. He hath not grudged us His only begotten Son, that which was most precious and most dear of all to Himself. For what was dearer to God than His only begotten, dearly beloved Son? He hath not grudged us the highest honor and blessedness in union with Him. The doctrines of the gospel teach us how far Jesus Christ was from grudging us anything which He could do for or give to us. He did not grudge us a life spent in labor and suffering. He did not grudge us His own precious blood. This is an excellent introduction to Biblical theology that will help you see how the full story of Scripture reveals the full glory of Christ. “As the radiance of God’s glory, Jesus is our great prophet. As the purification for our sins, He is our Great High Priest. As the one who sat down at God’s right hand, He is our King.” (211) Amen. The latest book from Rosaria Butterfield unpacks “radically ordinary hospitality.” I found it to be both encouragingly hopeful and devastatingly convicting. But don’t just take my word for it. Read the first twenty pages for yourself. Two years ago I listened to a fascinating interview on NPR with Matthew Walker, the director of the Center for Human Sleep Science at the University of California, Berkeley. Terry Gross asked Walker, “What are we losing when we deprive ourselves of sleep?” I still remember his six-word response: “Short sleep predicts a shorter life.” Walker argues that “our lack of sleep is a slow form of self-euthanasia.” (324) Yikes! Did you know that caffeine is the second most-traded commodity on the planet after oil? I didn’t. I found the really fascinating stuff in this book to be chapters 9, 10, and 11, on how and why human beings dream. Reading this book made me thankful for the gift of sleep and eager to trust the One who neither slumbers nor sleeps. Michelle McNamara was a true crime journalist who spent years in a tireless quest to unmask the identity of a notoriously violent predator, the “Golden State Killer.” Tragically, she died in 2016 before she could complete the final edits to her book. But what’s even more incredible is what happened in April 2018. Detectives, using DNA evidence, believe they have finally solved the case. You can listen to how investigators chased down the clues in a recent audiobook, Evil Has A Name. The diligent pursuit of justice displayed by McNamara and the detectives is awe-inspiring. How can you not devour a book that starts like this? Masaji Ishikawa was born in 1947. His father was a Korean national residing in Japan. His mother was Japanese. In 1960, when he was thirteen years old, his family moved to the “promised land” of North Korea. In 1996, he made a desperate bid to escape. In this book, he tells his unforgettable story. “Two days short of the winter solstice; the turn of the year’s tide. All that cold day, the city and the countryside around felt halted, paused. Five degrees below freezing and the earth battened down. Clouds held snow that would not fall. Out in the suburbs the schools were closed, people homebound, the pavements rinky and the roads black-iced. The sun ran a shallow arc across the sky. Then just before dusk the snow came — dropping straight for five hours and settling at a steady inch an hour. I was at my desk that evening, trying to work but distracted by the weather. I kept stopping, standing, looking out of the window. The snow was sinking through the orange cone cast by a street light, the fat flakes showing like furnace sparks. Around eight o’clock the snow ceased. An hour later I went for a walk with a flask of whisky to keep me warm. I walked for half a mile along dark back roads where the snow lay clean and unmarked. The houses began to thin out. A few undrawn curtains: family evenings underway, the flicker and burble of television sets. The cold like a wire in the nose. A slew of stars, the moon flooding everything with silver. At the southerly fringe of the suburb, a last lamp post stands by a hawthorn hedge, and next to it is a hole in the hedge which leads down to a modest field path. I followed the field path east-south-east towards a long chalk hilltop, visible as a whaleback in the darkness. Northwards was the glow of the city, and the red blip of aircraft warning lights from towers and cranes. Dry snow squeaked underfoot. A fox crossed the field to my west at a trot. The moonlight was so bright that everything cast a crisp moon-shadow: black on white, stark as woodcut. Wands of dogwood made zebra-hide of the path; hawthorn threw a lattice. The trees were frilled with snow, which lay to the depth of an inch or more on branches and twigs. The snow caused everything to exceed itself and the moonlight caused everything to double itself. This is the path I’ve probably walked more often than any other in my life. It’s a young way; maybe fifty years old, no more. Its easterly hedge is mostly hawthorn and around eight feet high; its westerly hedge is a younger mix of blackthorn, hawthorn, hazel and dogwood. It is not normally a beautiful place, but there’s a feeling of secrecy to it that I appreciate, hedged in as it is on both sides, and running discreetly as it does between field and road. In summer I’ve seen small rolling clouds of goldfinches rising from teasel-heads and then curling ahead to settle again, retreating in the measure that I approach them. That evening the path was a grey snow alley, and I followed it up to the hanger of beech trees that tops the whaleback hill, passing off the clay and onto the chalk proper. At the back brink of the beechwood I ducked through an ivy-trailed gap, and was into the forty-acre field that lies beyond. This volume gets the award for the most beautiful book of 2018. It’s chock-full of delightful, imaginary maps from Pilgrim’s Progress, Middle Earth, Treasure Island, the world of Harry Potter, and more. We all learned at a young age that if you find a map at the start of a book, then an adventure and a journey is about to begin. I can still see in my mind’s eye the Western Woods, building up to the mountains of Ettinsmoor, and then Cair Paravel rising to the east, all because C.S. Lewis included a map at the beginning of The Lion, the Witch, and the Wardrobe. Maps don’t just speak to our soles; they speak to our souls. As always, happy reading and Happy New Year! Here, then, too, we obtain a glimpse of how something could be simultaneously long hidden / eventually revealed and long prophesied / eventually fulfilled. It was right there in the text (provided one reads the Scriptures with careful respect for the significance of the historical sequence), even though, transparently, this was not how it was read by Paul the Pharisee. Doubtless it took the Damascus road Christophany to make Saul of Tarsus recognize that his estimate of Jesus was wrong: Jesus could not be written off as a (literally) God-damned malefactor if in fact His glorious resurrection proved He was vindicated, and so the controlling paradigm of his reading of the Old Testament had to change. But when it changed, Paul wanted his hearers and readers to understand that the Old Testament, rightly read in its salvation-historical structure, led to Christ. –D.A. Carson, “Mystery and Fulfillment: Toward a More Comprehensive Paradigm of Paul’s Understanding of the Old and the New,” in Justification and Variegated Nomism: The Paradoxes of Paul (ed. Peter T. O’Brien and Mark A. Seifrid; vol. 2, 181st ed. ; Wissenschaftliche Untersuchungen zum Neuen Testament; Grand Rapids, MI; Tübingen: Baker Academic; Mohr Siebeck, 2004), 2: 427–428. “Consider what it means to read Scripture as a divine book— from God to us! If God wrote every word, sentence, paragraph, chapter and book, then the Bible is unified. The Bible’s sixty-six books really form one book from one Author. It’s also coherent. If we’re confuses about the meaning of a certain text, we may assume that we’re the ones confused, not God. The Bible coheres with itself and with the world in which its readers live. It’s complete— the Bible is what God wanted us to have. If it raises questions that it doesn’t completely answer, then that must be on purpose. And not only is it complete, but it’s also sufficient for what we need. The Bible is perfect. There’s nothing wrong with it. Every word is good and true. The Bible is also urgent. If God has spoken to us, then nothing is more important than for us to listen to its message. All of these truths about Scripture have major implications for how we interpret the Bible. We should read it with creaturely humility because these words are from our Creator and Lord. We are to read with expectation. If we look forward to the release of a new novel by a favorite author, how much more should we look forward to reading God’s Word! We should also read with caution, recognizing that we are inclined to misunderstand what God has written, given our finitude and sinfulness. That means we should read the Bible patiently to accurately discern what God has said. We cannot assume that what first comes into our minds matches what’s in God’s mind. We read and we reflect, and once we settle on an interpretation that is faithful to the text and aligned with previous interpretations, we submit to God’s Word. If we disagree with something the Bible teaches, we assume that our thinking must change, not God’s. We don’t stand over Scripture; we stand under it in submission to God (Isa. 66:1-2). –Trent Hunter and Stephen Wellum, Christ From Beginning to End (Grand Rapids, MI: Zondervan, 2018), 44-45. –Stephen Wellum, God the Son Incarnate (Wheaton, IL: Crossway, 2016), 191-192. 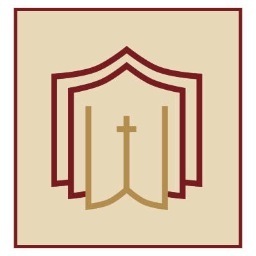 “Many—probably most—of these chapters were written in the context of busy pastoral ministry, either in Scotland or in the United States—preaching, teaching, pastoral visiting, personal meetings, crises in the lives of individuals and sometimes the whole church, administrative responsibilities, and the wide and wonderful variety of activities that make up the average ministers life. And since virtually all the essays were written by request, their writing has been squeezed into, or out of, an occasional hiatus in the sheer busy-ness of ministry life and the constant preparation involved in preaching anywhere between three and six times in the week. So, at some point in the writing of almost all these chapters I have heard an inner voice ask, ‘Whatever possessed you to agree to do this?’ Yet, however far short these various pieces fall, in each case the preparation of them did me good, enlarged my understanding a little, and fed into the day-to-day work of pastoral ministry. I hope, therefore, that these pages will encourage other ministers to allow themselves to be stretched a little beyond their normal pulpit or lectern preparation. There is no doubt that the wider reflection, reading, study and stretching involved can only strengthen and enrich long-term ministry. Such stretching produces growth. Sometimes ministers can ‘waste’ the privileged time they have by studying only in relation to their next sermon. This does produce some growth, of course; but perhaps not growth that is constantly putting down deeper roots and producing richer fruit. Preachers need to be reading and studying more widely, and reflecting theologically if that is to be the case. For only then will our ongoing ministry be deepened and enriched. Thus, in one sense at least, the undergirding message of these diverse chapters is: if you are a preacher, accept invitations or create opportunities to study, speak, or write on subjects outside of your usual diet of preparation. Devote yourself to the public reading of Scripture, to exhortation, to teaching. Do not neglect the gift you have… Practise these things, devote yourself to them, so that all may see your progress. Keep a close watch on yourself and on the teaching. Persist in this, for by so doing you will save both yourself and your hearers (1 Timothy 4:13-16). –Sinclair Ferguson, Some Pastors and Teachers (Carlisle, PA: Banner of Truth, 2017), xii-xiii. “Read and re-read and re-read and re-read the biblical book. It is a mistake to choose the book and then start reading commentaries. Read the book. Read it in English. Read it in Greek, or Hebrew, as the case may be. I’m quite flexible. Ideally, that means you should start the process of preparation in this regard a long time before. If you have time to read it only once before the first Sunday you’re going to preach it, you won’t have absorbed a great deal of it. I knew a man in Toronto a number of years ago (he has long since gone to be with the Lord). His name was William Fitch. He was a Presbyterian minister and a very able expositor. It was his lifelong practice not to preach any part of the Word of God until he had read it in preparation for that sermon 100 times. I’m not laying that on you as a burden or anything! Still, some of us I suspect have managed to preach on occasion from passages where we barely read it once! We’ve read the commentaries, of course.… But read the text. Read the text. Read, read, read, re-read the text. Start the process early. Give time to re-reading and, thus, to meditation, to turning it over in your mind, to thinking about it when you’re driving your car, to waking up in the middle of the night and dreaming about it. Partly, this is because a lot of your best insights come when you’re not trying, when you’ve just flooded your mind with the Word of God, and then you begin to see the connections and how it works. You can’t force that. It’s just re-reading plus time. That also gives you time to start collecting illustrations and bits and pieces that fit into it just from your other reading, from reading the newspaper or reading a novel or talking with your kids or something in the church that happens. Suddenly, you’ll discover, because you have allowed a little extra time in preparation, you enrich the entire process. Having said that, I have to tell you quite frankly that sometimes I have achieved that, and quite frankly, I often haven’t because I’m just as pressured as the next bloke. I can start my preparation the week before, the same as everybody else, but ideally … ideally.… I like to start a long time in advance. I try. That also gives you time to pray over the text. That is, to incorporate the text into your personal prayers. In much the same way I incorporated some of the prayers of Paul into personal prayers, this can be done, of course, in one way or another with all kinds of texts. Eschew the division of head and heart. (This a more general observation but probably still worth making.) Some of us think when we are reading the Bible devotionally we are supposed to go all fluttery in the stomach and feel very spiritual and deeply meditative and highly reverent, and then when we’re doing our exegesis we can forget the reverence and just get on with the commentaries. Fight that dichotomy like the plague. Make your detailed, analytic, careful, competent exegesis reverent and make your devotional life thoughtful and rigorous. Eschew like the plague this common division between head and heart. –D.A. Carson, “Preaching through Bible Books,” in D.A. Carson Sermon Library (Bellingham, WA: Faithlife, 2016).